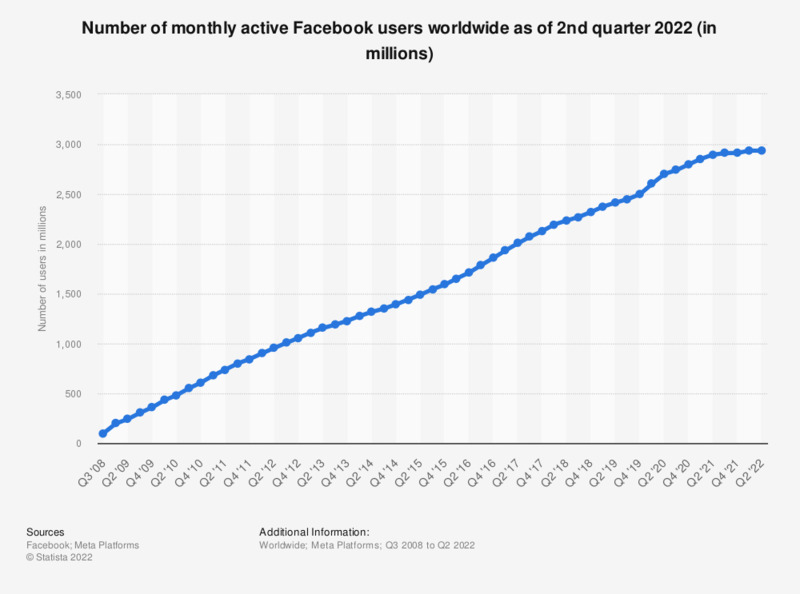 This statistic shows a timeline with the worldwide number of monthly active Facebook users from 2008 to 2018. As of the fourth quarter of 2018, Facebook had 2.32 billion monthly active users. In the third quarter of 2012, the number of active Facebook users had surpassed one billion, making it the first social network ever to do so. Active users are those which have logged in to Facebook during the last 30 days. During the last reported quarter, the company stated that 2.7 billion people were using at least one of the company's core products (Facebook, WhatsApp, Instagram, or Messenger) each month. Facebook measures monthly active users as users that have logged in during the past 30 days. Figures do not include Instagram or WhatsApp users unless they would otherwise qualify as such users, respectively, based on their other activities on Facebook.